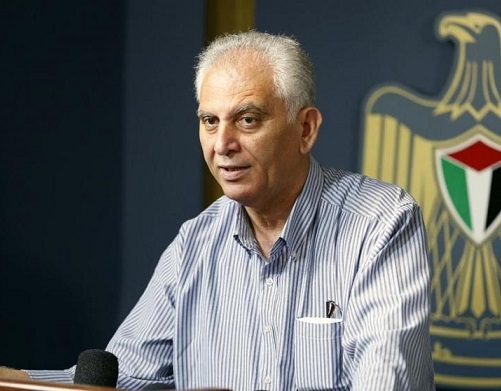 Bassam al-Salhi, secretary-general of the Palestinian People's Party (PPP) and member of the Executive Committee of the Palestine Liberation Organization (PLO), said that the Palestinian issue has long been approached by the United States and some European and Arab parties a matter of a return to negotiations. However, given current the position of the US, the immediate end of the occupation and the achievement of the independence of the State of Palestine recognized by the UN is important as ever. This should be carried out along with the guarantee of the rights of the Palestinian refugees, foremost of which is the right of return in accordance with the UN Resolution 194. Salhi said in a press statement following the speech of President Mahmoud Abbas at the UN General Assembly that 'the re-production of the closed circle prior to the negotiations urged by the US administration and some international parties, including those ignoring the position of the US administration taking blatant measures against the Palestinian people, is an unprecedented retreat’. The PPP secretary-general underlined that this must be confronted with a unified will and determination. Salhi pointed out that the next meeting of the Palestinian Central Council should be well prepared, because the most important issue is to create a different path for the political process, with political alliances and relations both internally and externally on the basis that 'the central issue is the immediate end of the Israeli occupation of the Palestinian territories'. He pointed out that the PPP is still counting on working to end the division within the Palestinian movement as an urgent need to protect the Palestinian national project and the Palestinian democratic experiment.